I spend a lot of time talking and writing about my home state of Maine, so out of fairness to the place I actually live now, I thought I would write about a fantastic adventure here in New Hampshire. Jericho Mountain State Park is just about my most favorite thing here. It’s only two hours from home, but miles away in terms of ambience. You can get there a couple of different ways, either from the town of Gorham New Hampshire or from Berlin, NH. Each town offers a range of accommodations, and I have found the people there welcoming and accommodating. No matter where you stay, or how you choose to enter Jericho, however, you’ll not be hiking, or driving… you’ll be riding an ATV! *I’m definitely not a travel blogger, and I don’t sell vacations, but I always have the time of my life here, so I thought I would share. People come from all over the world to ride the trails there. Both towns allow the riding of ATV’s on the public road ways, so you can ride right down the main streets and park in front of any restaurant or store and even park in front of your hotel! The towns are connected by a trail so you can skip from one town to the other, but be sure to stop to see the waterfall along the way! The park itself, is vast and diverse. The terrain can range from easy, to what the park classifies as black diamond trails. ( very difficult and dangerous) The main speed limit is 25 on most trails, but you won’t be able to go that fast in quite a few places. *This is the exit to one of the black diamond trails that my husband tried. I opted out, as I’ve had recent surgery and the trail is riddled with large boulders, steep drops and dangerous terrain throughout. Jericho is a gorgeous park, rugged and wild, with a lot of the same sights and smells of my own home state. The flora and fauna are abundant. We’ve seen moose, and deer, which is surprising if you consider how noisy ATV’s actually are. You’d think the animals would be scared away, but they don’t seem to mind. If you take some time to look around in the mud, you can find the tracks of coyote, and all sorts of creatures. When I enter the forest there, tangy pine and wild flowers perfume the air in a way that completely envelops the senses. The sights take my breath away. The mountain range is deep and layered. Though I try, I’ll never be able to capture the beauty with a camera. You’d actually have to stand there and take it all in yourself. 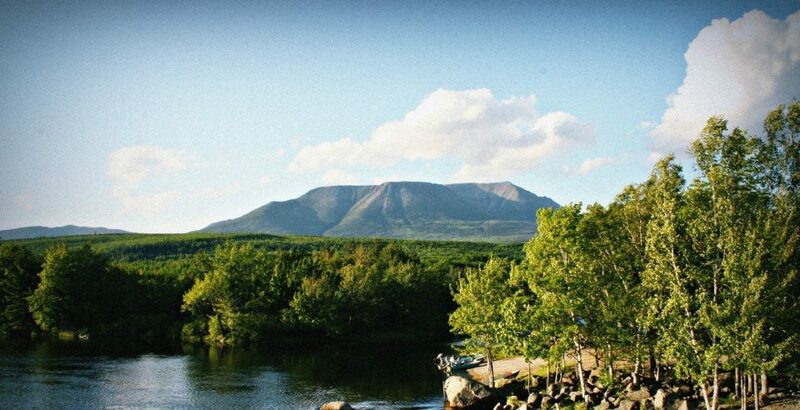 Mount Washington hails in the distance and is only about a twenty minute drive from Gorham. Miles of riding takes you through the park. There are maps at each junction that give you the layout and direct you to off-shoot trails that thrill. There are many twists and turns along the way. The road will rattle your teeth, jiggle your insides, and fling mud all over you, but it’s exhilarating! There is a warming hut that is open year round for viewing, but is there mainly for the winter snowmobilers. The view from the door-step is astounding! And on top of a rise, there are wind mills. Five of them, if I remember right. They sit high up on a hill, their blades causing shadows across the landscape as they rotate as quietly as a whisper. Bridges cross over rushing streams and stagnant bogs. I know there must be a trout or two hanging out in there, so next time, I intend to bring my fishing pole! After our two days of riding, I was absolutely exhausted. I may have taken on too much, but to me, it’s like eating an entire cake. It’s bad for you, but so hard to resist! My body is still feeling it two days later! We went back into town, cleaned the mud off our faces, took some ibuprofen, changed, and debated about where to eat for dinner. As it turns out, Gorham was hosting a carnival! It has been a few years since I’ve been to a small town carnival. In my home town, when I was a child, one would come every year in April. It always gave me a thrill. We decided, all at once, to grab some dinner at the fair and then I just had to ride one ride. The one I always chose when I was a kid…The Scrambler! Not quite as exciting as I remember, but fun just the same. Anyway, it was a great trip. If you are ever up this way, I would highly recommend it!